Showcasing a new modern house in an area of 1519 square feet (141 square meter) (169 square yards) with 4 bedrooms. 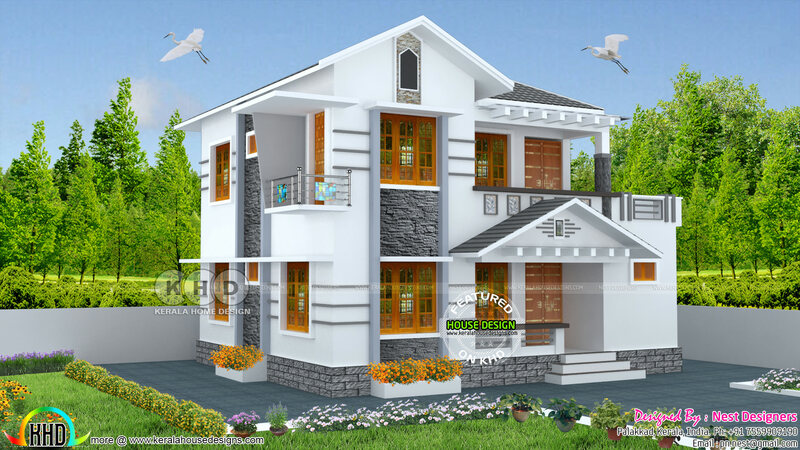 Design provided by Nest Designers from Palakkad, Kerala. Ground floor area : 867 sq.ft. First floor area : 652 sq.ft. Total area : 1519 sq.ft. 0 comments on "1519 square feet 4 bedroom modern house plan"